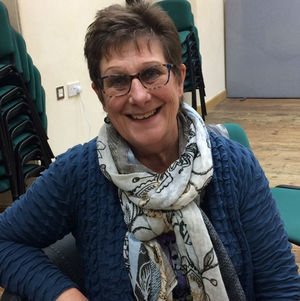 I have lived in Langport for almost 40 years and have been a member of a number of local organisations, including being a town councillor for nearly 20 years. I have been a trustee of the Warehouse Trust for a number of years. My background is in sales and marketing and I hope I bring some of those skills to the Trust as well as my knowledge of Langport and the area. As well as being a trustee, I also managed the whole building, including a café (before Kitchen), for 18 months before SBA took over. I therefore have a very good knowledge and understanfing of the problems and pleasures of running a social enterprise like the Great Bow Wharf. I worked together with the current WHT Chairman on the funding bid for the setting up of part of the building as a local business hub. I am pleased to see that our work is now bearing fruit and we have a flourishing hub. To ensure that the Great Bow Wharf is a viable project, bringing in sufficient income to cover all maintenance and other costs. To achieve both the above, to ensure that the offices are continuously let and, as such, remain competitive in price and facilities, with other offices in the area. What would you like to bring to the trust? What do you feel your role is as a trustee? To work with the other trustees to maintain the GBW as a well-run local facility (as above).